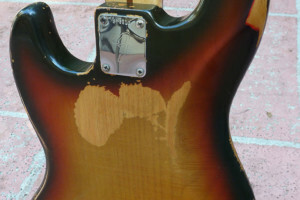 For many readers, the gold standard of basses is the Fender Jazz. 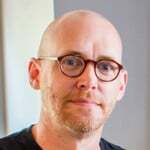 For No Treble reader Ken Burgner, the Jazz is his dream bass. 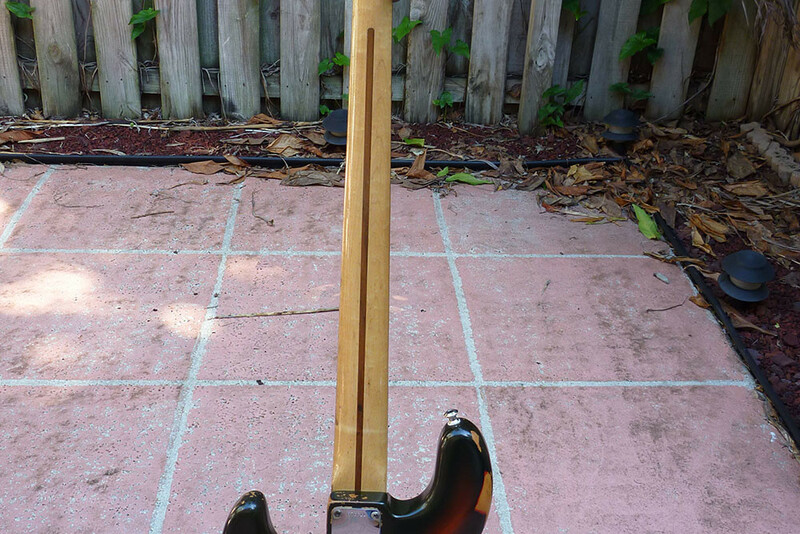 Ken started out with a 1972 Jazz with a Lake Placid blue re-finish. 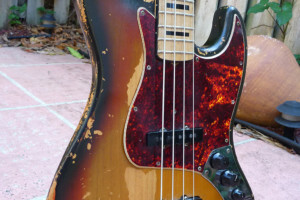 But when he saw a ’72 with a sunburst finish listed for sale on TalkBass, he knew it was the bass he had to have. 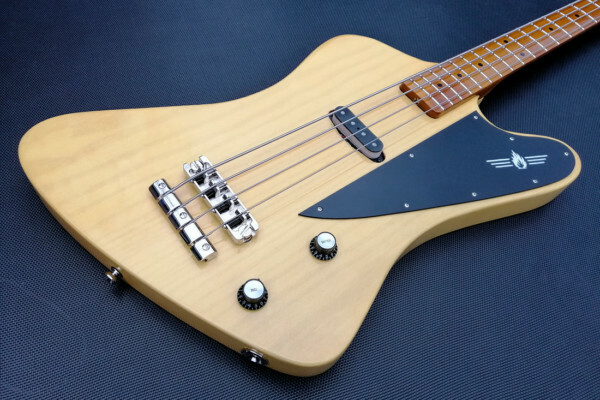 Ken shared the story behind this beauty, and lots of pictures. Enjoy. Almost stock! The volume pots were changed out in 1979. 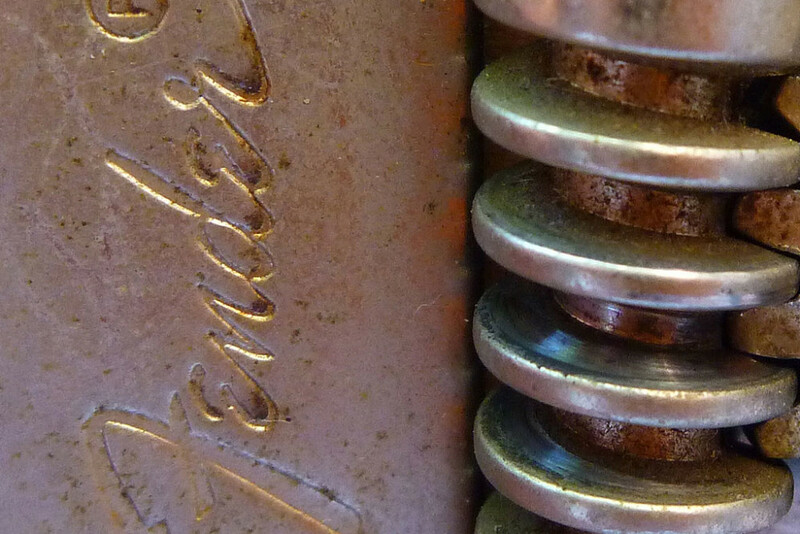 Some time in the late 2000’s, the neck was refretted by Geoff Benge in Chicago. 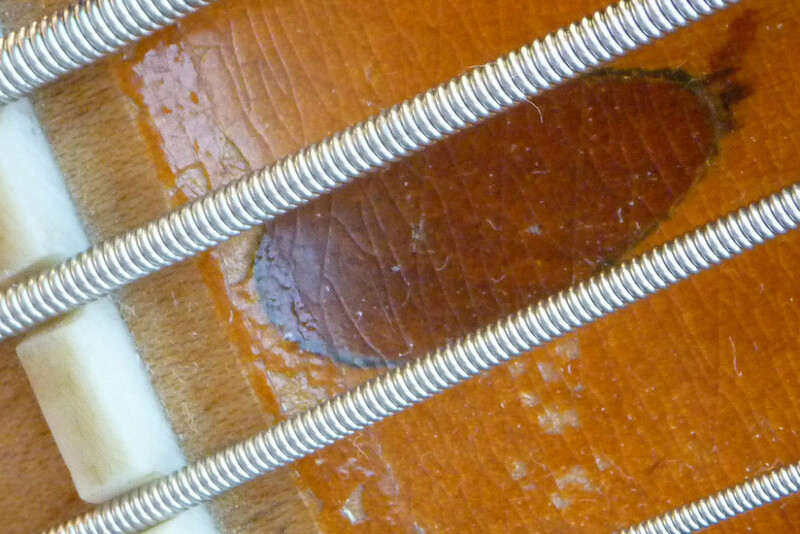 Also around the same time the bridge pickup was rewound by J.M. Rolph, also of Chicago. Neither is that uncommon for a bass this old, and especially for one that was played! 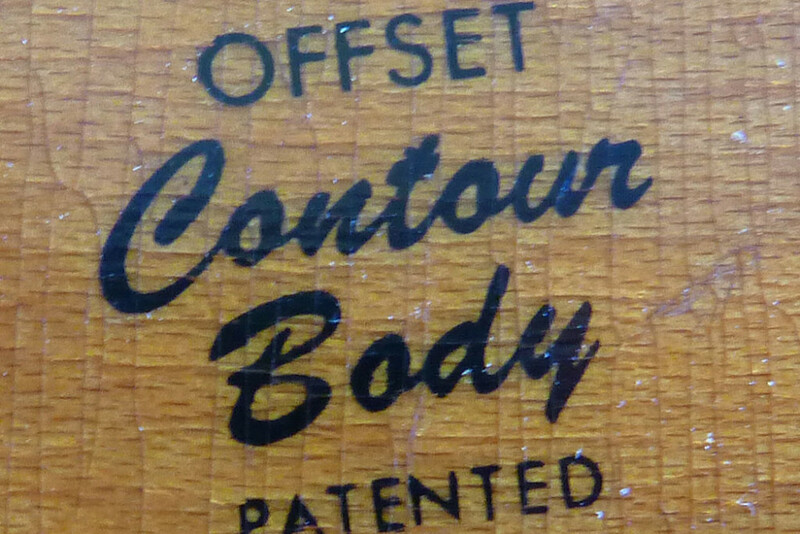 Also I have the original hard shell case, chrome pickup covers with foam mutes and the owner’s manual. Lots of MoJo! 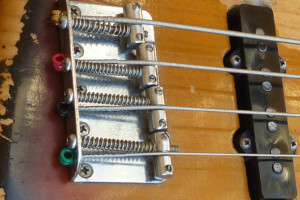 This bass was meant to be played, and it was (and is)! What’s your favorite story about the gear? 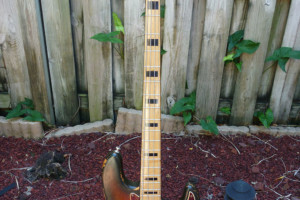 This was kind of my dream bass! 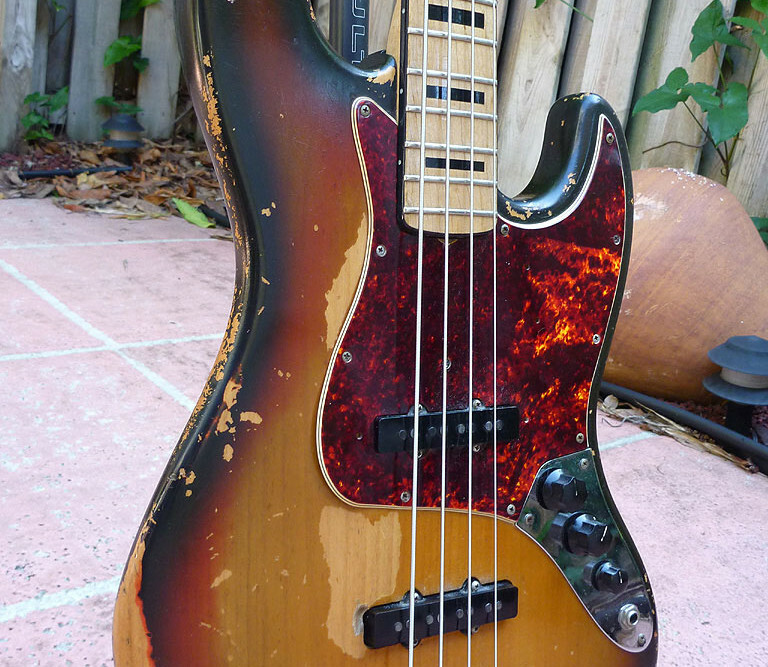 Ever since seeing Jaco, I wanted a vintage sunburst Jazz. Just love the feel and tone. When this one came up for sale, I just had to have it. 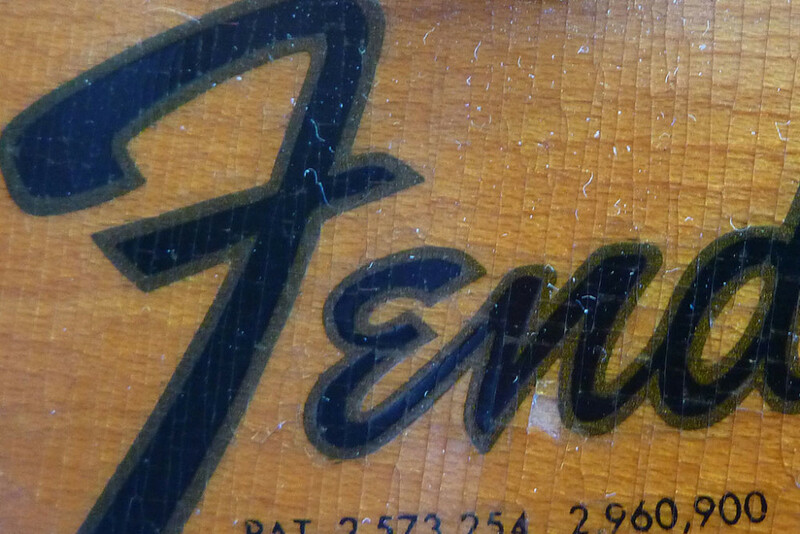 I did have at the same time another 1972 Fender Jazz – one with a rosewood fretboard which sported a nice Lake Placid blue re-finish. But this sunburst Jazz just played like butter and oozed mojo! 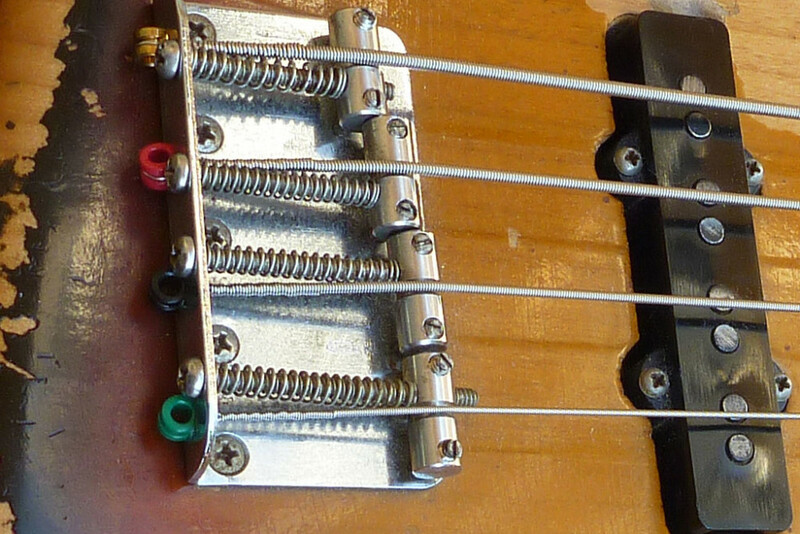 I have put on a fair amount of my own mojo since this bass became my main player. Who stands out as a notable bassist who plays a 1972 Jazz? 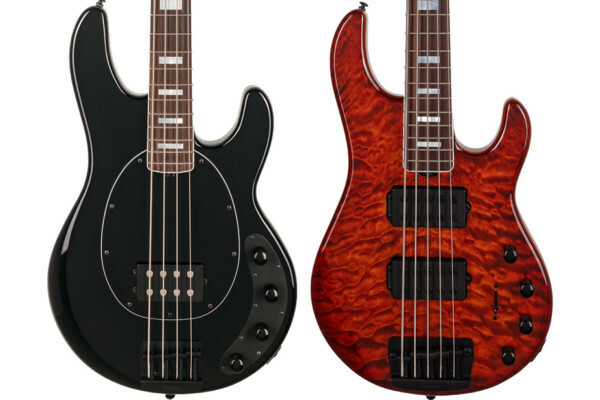 Oh, there are so many guys that play ’72 Jazz basses. The most notable is probably Geddy Lee. 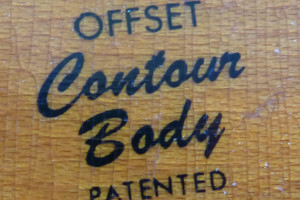 Any special history or story behind this instrument? 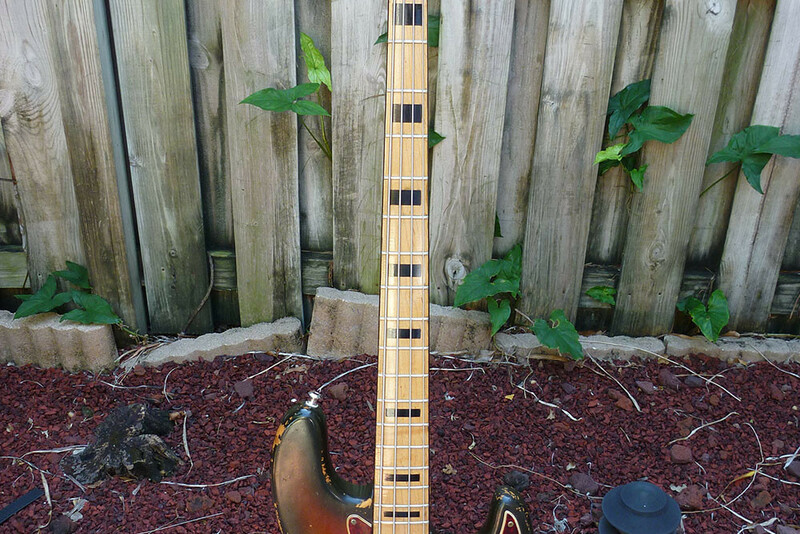 I know I am the third owner of this bass. The original owner lived in California. I can just make out his name and address painted on case. He played the hell out of this bass. Then it was put away and stayed in the case for 16 years. Eventually it was put up for sale at Cowtown Guitars in Las Vegas. The second owner (who I purchased it from) bought it in the mid 2000’s and brought it back to Chicago. He then sold it to me here in Florida. It is my main player. The only time I do not use it is on outdoors gigs. 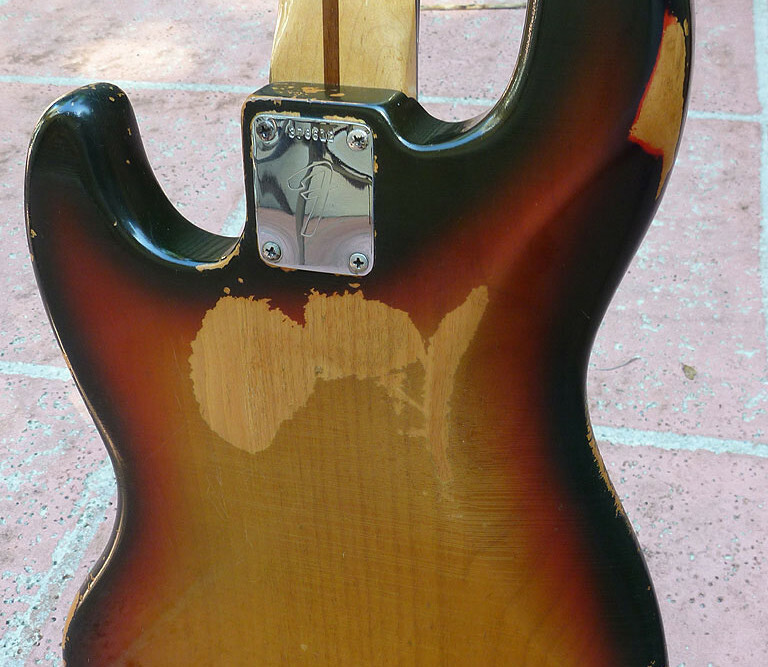 The 42 year old finish is getting fragile and the Florida humidity can be tough on it. 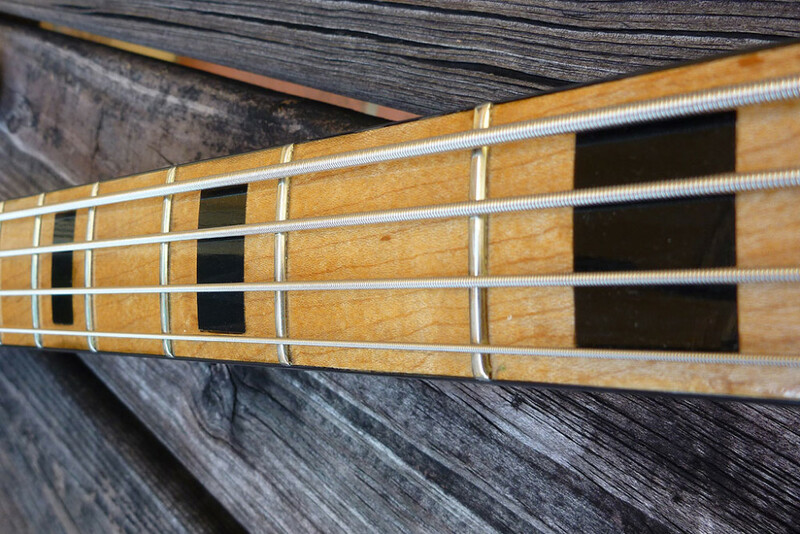 What else do you want to share about your bass? 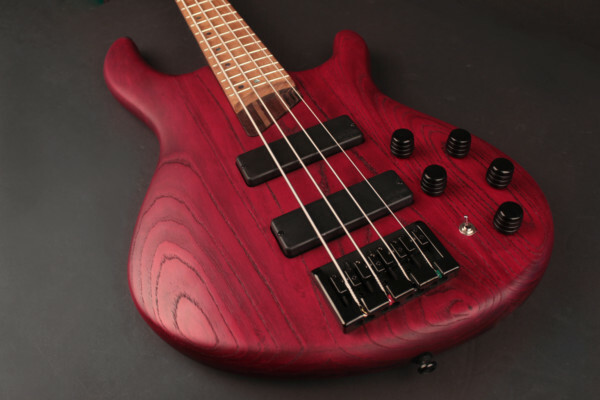 I was at the last Victor Wooten Bass Camp and the bass turned some heads, from students to teachers. 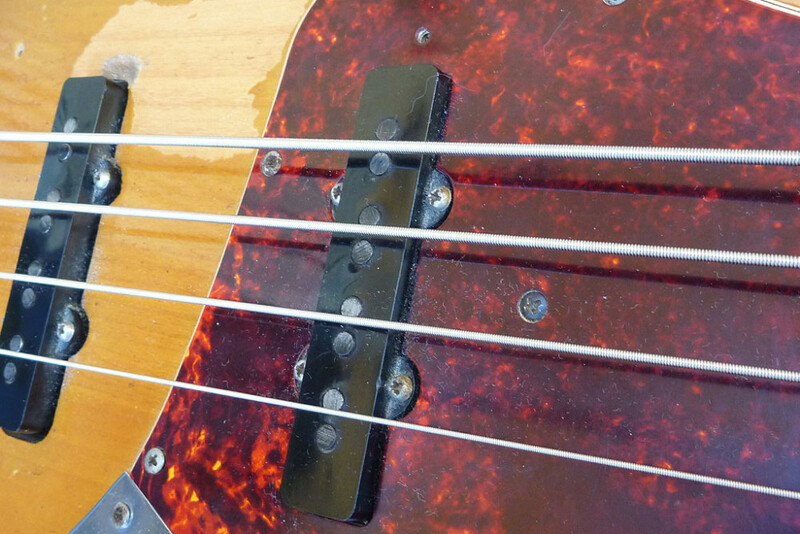 It is such a easy bass to play and nails that vintage Fender tone. Nope. 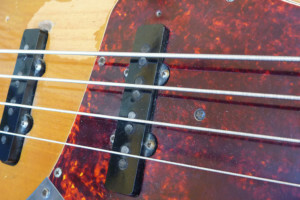 I sold the Lake Placid blue Jazz bass.